Now complete! 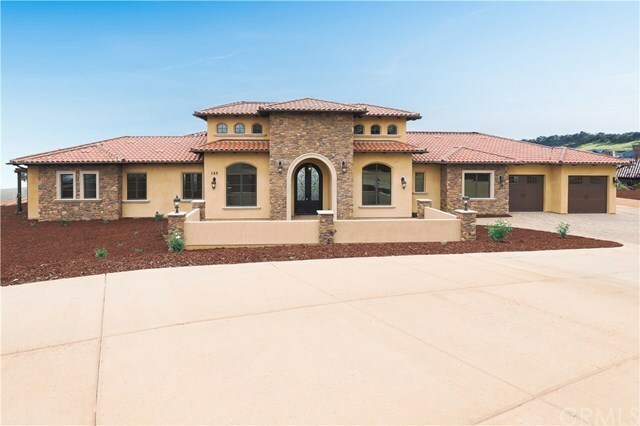 NEW CONSTRUCTION by Hunstad Homes in Monte Sereno gated community with VIEWS! The home is over 3800 sq ft, of single level living with 4 bedrooms, an office, and 5 bathrooms, PLUS an attached 600 sq foot casitas featuring bathroom and a kitchenette, that is perfect for an in-law suite, guests, home office..... Gorgeous distressed White Oak hardwood flooring, 12 foot ceilings, double wrought iron front doors, Mahogany interior doors, wood windows, and custom raised panel Mahogany cabinetry, are just a few of the amenities of this top of the line build. The master suite features a large double sided walk through shower, soaking tub and two separate walk in closets. Get the best of indoor/outdoor entertaining, and take advantage of the views when stepping out of the 16 foot opening off the great room onto the large patio. There you will find with heaters and built in screens for weather protection...complete with a outdoor fireplace. Stepping out a little further on the Tri-Coble Pavers you will find an outdoor kitchen! All built with custom, quality construction and keeping the view of upmost importance!